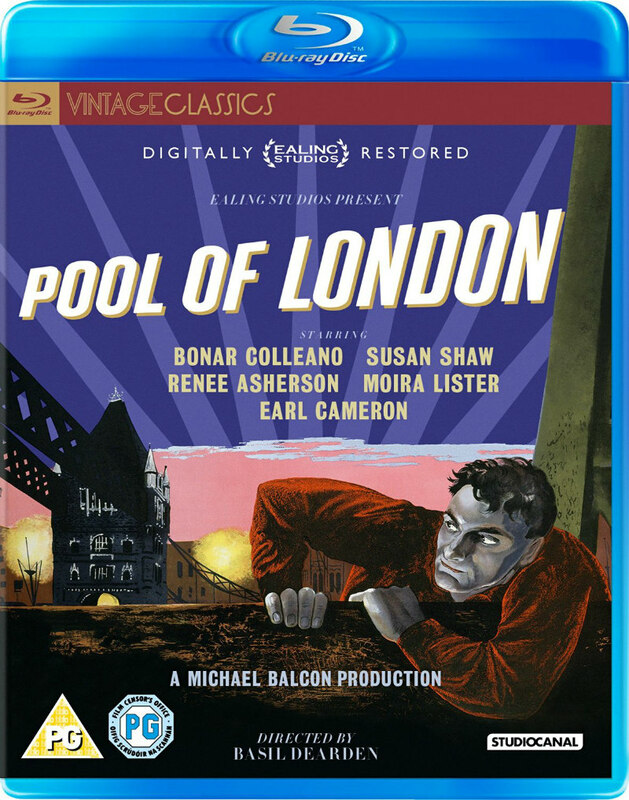 Did You Win A Blu-Ray Of The Newly Restored POOL OF LONDON? The 1951 British noir comes to blu-ray October 24th and we've got a copy to give away to a lucky UK reader. London’s Docklands, the 1950s: two seamen step ashore from The Dunbar and into the Pool of London. Dan MacDonald (Bonar Colleano: Dance Hall; The Man Inside) is a self assured and impetuous ladies’ man with a sideline in petty smuggling, whilst his friend and shadow, Jamaican Johnny Lambert (Earl Cameron CBE: Sapphire; Thunderball) is rather more shy and restrained. Before their ship again vacates the docks, Dan becomes fatefully involved in a diamond heist and ends up framed for murder and Johnny falls in love with a white girl (Susan Shaw: Train of Events; It Always Rains on Sunday). 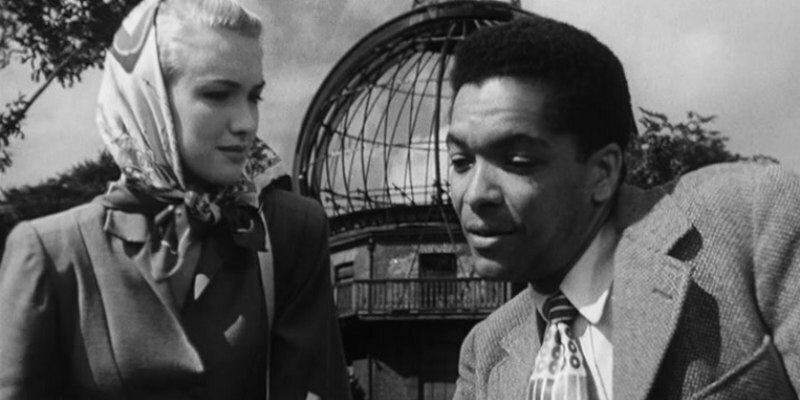 Directed by Basil Dearden (The Blue Lamp; Dead of Night), Pool of London was the first British-made film to depict an interracial relationship in the post-Windrush years. Renée Asherson (The Cure for Love; The Magic Box) and Moira Lister (Another Shore; The Cruel Sea) also star alongside Colleano, Shaw and Cameron CBE, seen here in his acting debut and undoubtedly one of his finest on screen performances.